This month I received my first ever Bella Box! I was super excited to be sent a box, especially because the theme for this month was 'Botanical Beauty'! Today I will show you the items I received in my Bella Box and my thoughts on each product. Bella Box is an Australian beauty subscription that sends subscribers 5+ beauty samples each month for the price of $17.95. Subscription boxes like Bella Box are great as they let you try out a variety of products for a small price. This 6-in-1 product is designed to shrink pores, control sebum, exfoliate, deeply cleanse, brighten, tone and cool the skin. Containing a pure and rare ingredient formed from lava as it cools after a volcanic eruption, the mask washes away impurities while moisturising the skin. I was curious about Innisfree products as they are such a raved about brand! This clay mask has a super thick consistency and goes to work on your pores to clear them out. I found this degunked my pores and soothed and reduced the redness of current breakouts. Containing 100% green tea from Jeju Island’s green tea leaves, this moisturising serum will hydrate your skin from within for a glowing complexion. Apply straight after cleansing your face to prevent moisture loss. This serum is a thin consistency and smells fresh and gorgeous. I didn't find it to provide enough moisture on its own on my dry skin, but oily skin types may appreciate the moisture boost this product provides while being as lightweight as water on the skin. The key to eternal radiant beauty is prevention – you are never to young to start looking after your skin! Made with Jeju orchids, this anti-aging face cream aims to give you healthier, younger looking skin. Perfect for all skin types and ages. As you can see, this month's box featured a lot of Innisfree products! As a moisturiser fanatic (my favourite beauty product), I was happy to see this sample included. This cream leaves the skin hydrated and glowing. It smells nice too; of orchid. Create natural looking radiance and bring some colour to your face with the LUMA Cosmetics blush or bronzer. The velvety smooth textures of these compact powders glides onto the skin and blends effortlessly for a naturally beautiful complexion. 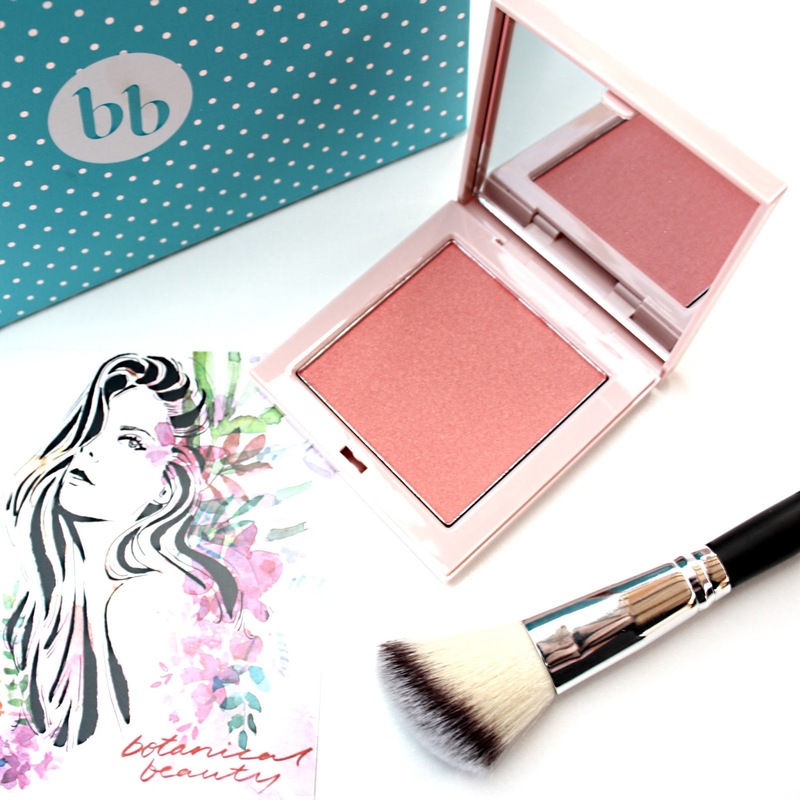 I was most excited about this blush included in this months box! This blush is a full size product and is worth $24.95! This blush looks gorgeous on the skin. I love the peachy pink tone of this blush, with the subtle gold shimmer undertones which provides a radiant finish. This unique oil is bursting with nutrients and vitamins to help improve overall skin appearance. Enriched with pure active botanicals like certified organic rosehip oil extracted from rosehip seeds, which has a high concentration of Vitamin A and E and Omegas 9, 3 and 6 essential fatty acids. This award winning Rosehip oil helps to restore moisture, and helps reduce the visible signs of ageing. The result is vibrant, glowing and healthy radiant looking skin. This little rosehip oil sample is so cute and is the first product from Akin I have owned. This oil is going straight into my travel beauty bag. Rosehip oils is such a multipurpose product and therefore great for travelling; what can't you use it for?! As a treatment for your face, as a body moisturiser, applied to the ends of dry hair, to smooth flyaways, or as a massage oil; rosehip oil has your back! Enriched with nourishing Australian Jojoba and organic Avocado oil, Alchemy’s leave-in conditioner hydrates and protects normal, dry or textured hair. This creamy leave-in conditioner did a decent job of smoothing and detangling my dry and knotty long hair, but I prefer hair products with silicone in them for keeping my hair more manageable. Overall I am impressed with the quality of the products included in this month's Bella Box and would recommend it! The inclusion of the Luma blush alone brings the value of the box up to more than the price you pay, which is great for those on a budget that are looking for a cost effective way to trial beauty brands. To subscribe to Bella Box, head to their website. It is such a cute blush! Great post! I can't wait to get my December Bella Box. This one looks great! December box looks like it's going to be a great one! The one box I cancel! This one actually looks really good!! Haha 😂 Yeah this month was great! Innisfree seems to be loved by everyone! The orchid cream by Innisfree is on my wishlist! The box is Worth it! $17.95 for all these?! How amazing!